Know when rent is paid, understand performance, and much more. 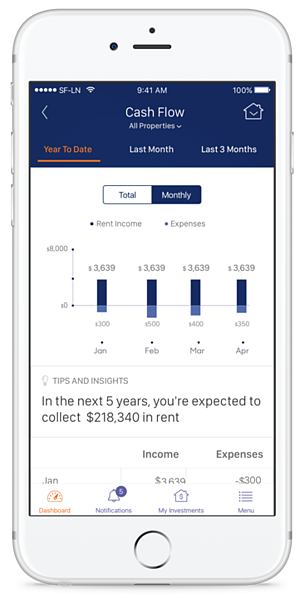 Roofsavvy integrates with property managers to aggregate current data for all your rental homes, putting the most up-to-date information at your fingertips. Roofsavvy is available for free on iOS—be one of the first to get it! Roofsavvy is available to any property owner who has purchased a home through Roofstock and utilizes one of our certified property managers. If you don’t see your property manager listed below, join the waitlist and we’ll notify you as soon as the app is available to you! Don’t see your property manager? This application is only available to owners using the property managers listed above. If you have any questions, recommendations or would like to speak with someone about Roofsavvy please email us at appsupport@roofstock.com.